Fertility is the key to any successful breeding operation is the major focus for our Stud. This unseen trait is of the utmost importance along with milking ability and the maternal environment the ewe provides for her offspring (maternal wt). Accurate pedigree records for many generations allow us, with the help of Lambplan, to identify animals that are superior in weaning % and milking ability. Once fertility and maternal environment factors have been addressed growth is the next most important factor. We look to select rams that have superior growth rates to post weaning weight. (9 months of age). More and more commercial producers are joining their 1 st X ewe lambs at 9 months of age, this is where, we, as stud breeders aim in selection. 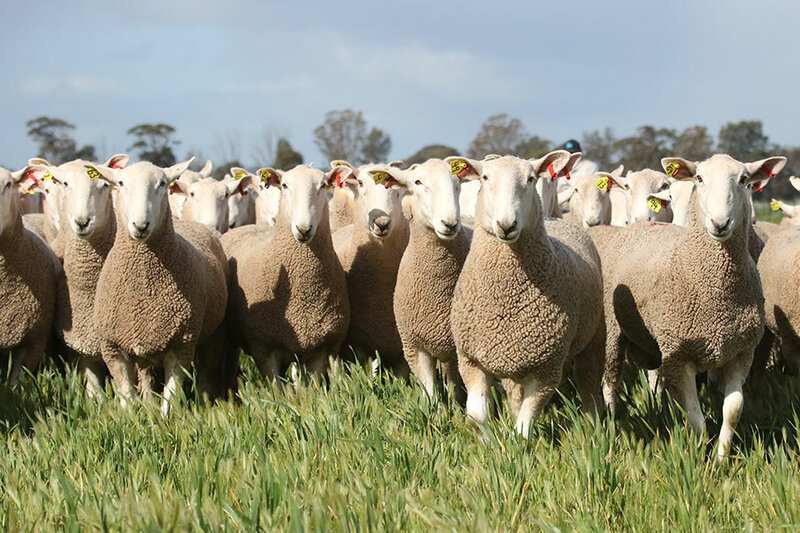 By joining at 9 months this allows commercial producers to gain an extra joining in the life of the 1 st X ewe, also it means their progeny will mature earlier and are less likely to cut their teeth prior to sale. This is an area of major importance for both our commercial clients and us as Stud breeders. We aim to breed rams that are long bodied, big upstanding sheep that stand over the ground with a good even covered fleece. This allows their progeny to be large bodied roomy ewes capable of carrying and rearing multiple lambs. Other key areas are mouths and pasterns as sheep must be able to feed and walk, especially the long distances in the western Riverina. Rams must have a good hindquarter and legs and pasterns capable of carrying the rams through the mating process. To participate in a Genetic Improvement Program with other like-minded and progressive stud breeders aiming to make the productive genetic gains possible. To build linkages with other studs thus enhancing the quality of figures we receive from Lambplan. Gleneith Park is in C division of the Wagga Wagga Rural Lands Protection Board, which is a Footrot Free Zone. MN3-V status. Division C of the Wagga Wagga Rural Lands Protection Board is a low prevalence area for OJD (now Riverina Local Land Services). 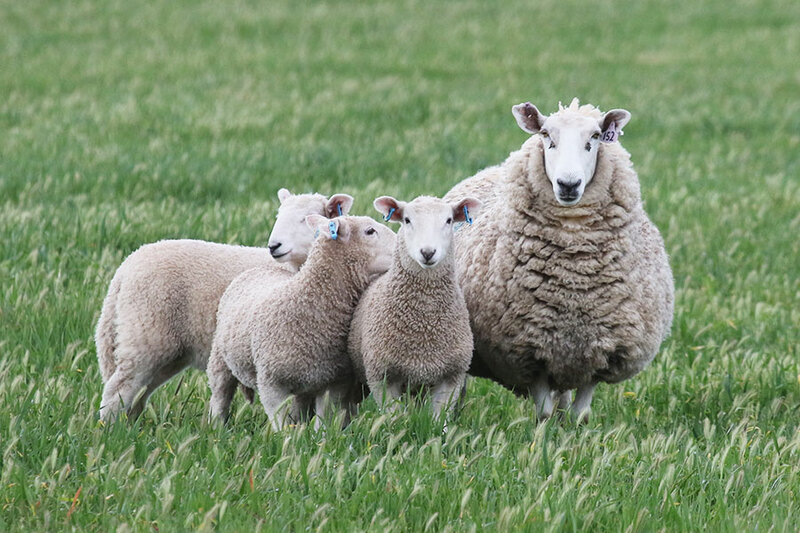 Superborders is the brand name for Border Leicester Rams that are of high genetic merit in maternal traits such as Fertility, milk yield and growth rate. Their official Superborder yellow ear tags can easily identify Superborders rams. 23 Border Leicester Studs from 5 states have realized that selling rams on visual appearance may favour early born single animals, but by using genetic evaluation provided by Lambplan, late born multiples are able to have their genetic potential revealed. 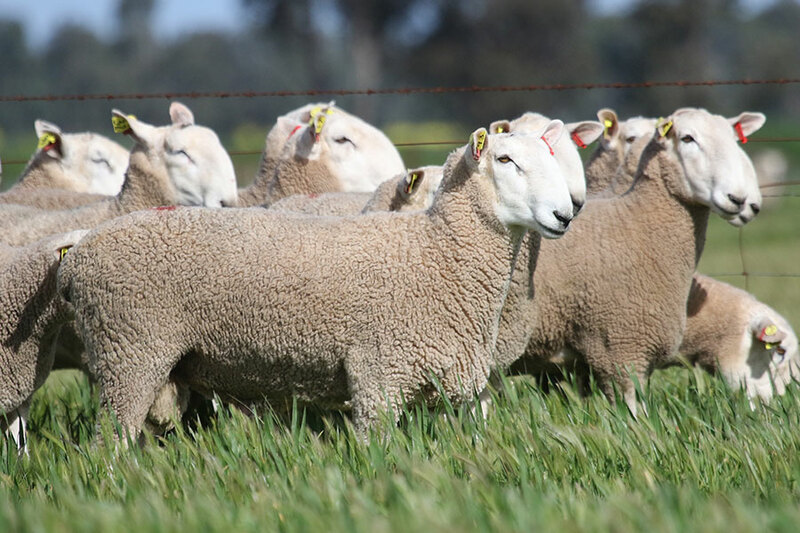 Rams that are marketed as Superborders are rams that are above average for the breed, by $ index on the 15th August Lambplan run, with some gates on individual EBV,s that exclude some radical animals. Not all rams sold by Superborder members are necessarily Superborder quality, but are bred by committed, registered breeders striving for genetic gains. Superborder rams must be structurally sound and of good breed type. Superborder breeders are required to maintain links through the use of common sires. 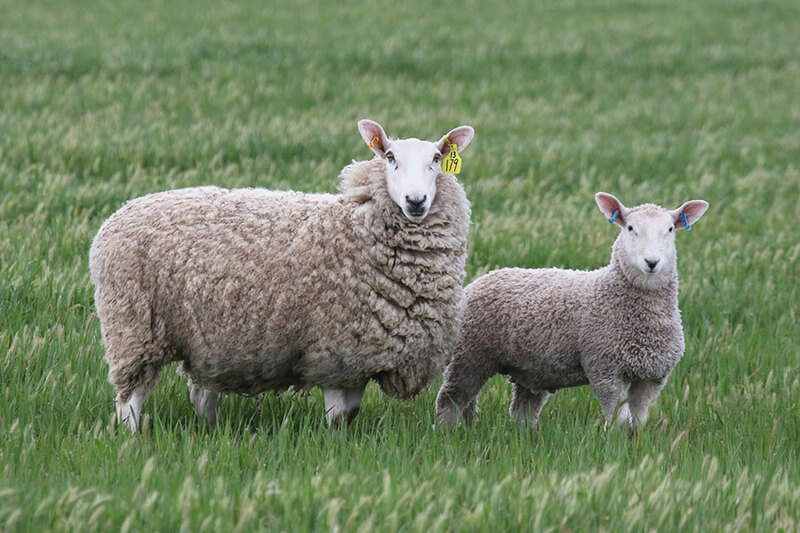 This is usually achieved through AI however, sharing of sires and mating naturally is ok. By having common sires run in different flocks and in different environments and under different management regimes Lambplan is able to isolate the genetic factors from the environmental ones. When the information is supplied to Lambplan corrections for environment can be calculated and EBV produced. (Without link sires, information would only be from within flock and could be squewed by environmental factors. 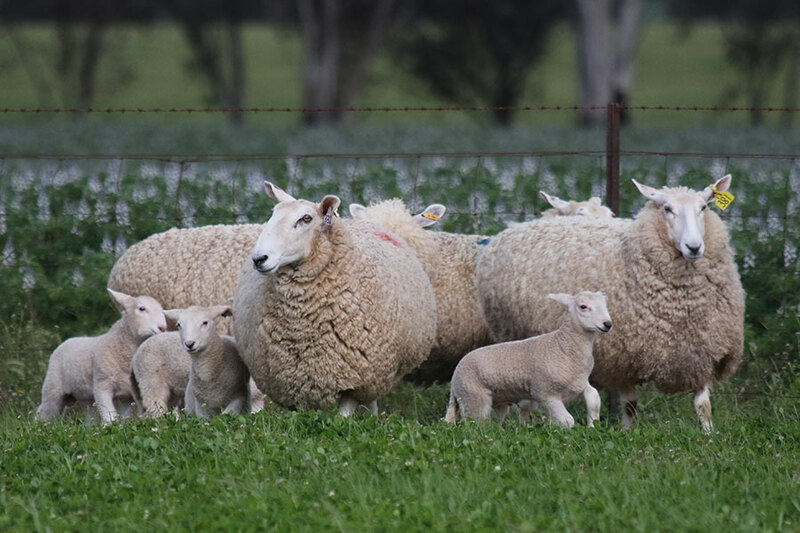 1stX lambs sires by 100% Superborders sires may be sold as Bred from Superborders. Special yellow sale cards and ear tags are available to identify these animals and may be obtained from your ram supplier.